The “halfway blues” is a common malady for long distance hikers. The middle of a thruhike can be tough. The honeymoon phase has long since worn off and our days on the trail feel defined by routine and monotony. We’re tired, we’re hungry, the dirt is permanently caked into our skin and the end is nowhere in sight. It’s at this point in our hikes that we have to remind ourselves of why we wanted to do this crazy journey in the first place. What was the goal you set out with? 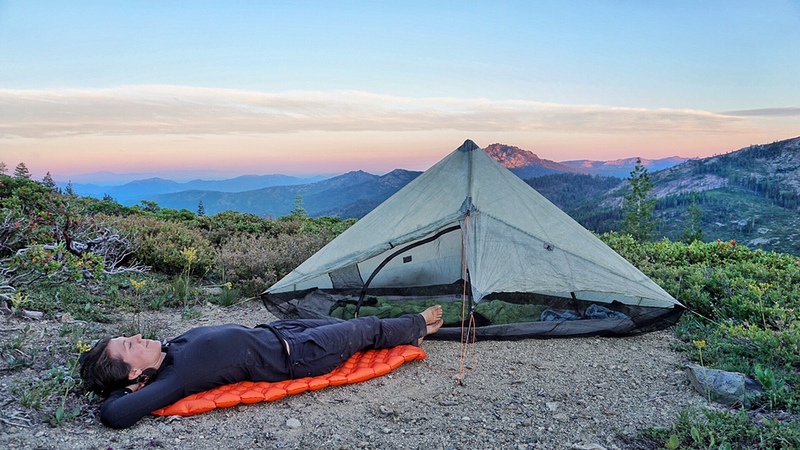 If you read either Appalachian Trials or Pacific Crest Trials by Zach Davis, creator of The Trek, you’ll remember that he advises thruhikers to make a list of reasons why you’re hiking. He said you would need to draw inspiration from this list later when the hike starts to get hard. Even if you don’t have a written goal or list of reasons saved to the Notes app on your phone, I KNOW you wouldn’t have decided to walk over 2,000 miles without at least a couple of lofty ideas about how thruhiking would change your life. So here, let’s do it together. I’m going to remind myself of the top three reasons why I am motivated to keep going until I finish my PCT thruhike. As you’re reading, please ruminate on your own list! 3. I’m grateful for this opportunity to challenge my body and to see it respond and evolve. Just in the past two weeks of increasing my mileage to 25 mi/day, the muscles all over my body have become stronger and more toned than they’ve ever been. I’m amazed that I’ve made it 1,325 miles without serious injury. On my Appalachian Trail thruhike in 2016, I experienced plantar fasciitis that felt like knives digging into my feet for probably 1,500 miles. But on this hike, I feel great. This gives me hope that I’m just going to keep feeling and looking better and stronger over the next 1,325 miles. 2. Living outside is a unique experience these days and it makes me feel calmer, healthier and more connected. I can’t believe that I used to sit at a desk all day when I now get to exercise outdoors for 12 hours a day, endorphins surging through my body as the sun kisses (ok, and burns) my skin. I regularly stop and dance with excitement in the middle of the trail because of how glorious a viewpoint is or because I have stumbled upon the perfect camping spot at sunset. I will remind myself every day for the rest of the hike how lucky I am to be able to journey through some of America’s most beautiful wild places. 1. Every step I take is helping underprivileged girls get outside. What’s been inspiring and motivating me for over a year now is my goal of helping more young women have transformative experiences in nature that help them develop confidence, perseverance, creativity and community. 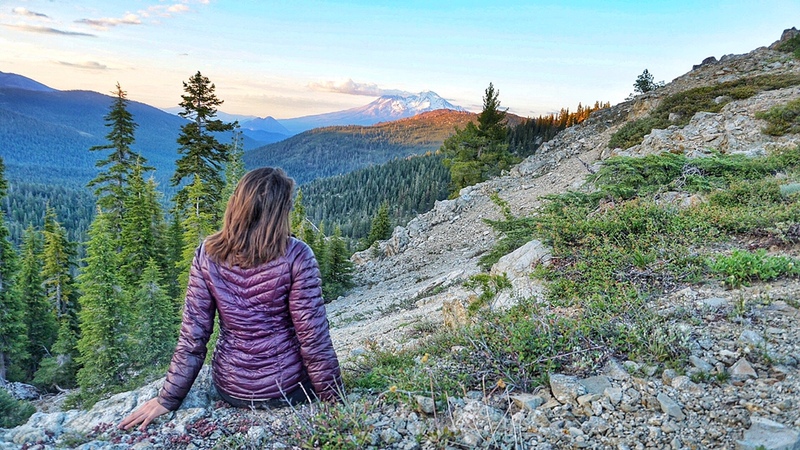 For this reason, I decided to hike the PCT in 2018 to raise money for three amazing women-led nonprofits that are empowering girls through outdoor experiences. So, in honor of my halfway point and to help remind me of why I’m out here, I came up with a fun idea: everyone who donates $50+ to my girl empowerment fundraiser in the next week will receive a handwritten letter from me reflecting on a story or lesson I’ve learned on the PCT. The letter could be for you or for a loved one—maybe there’s a girl in your life who would be inspired by my journey? If you feel inspired to participate, please donate by Sunday, July 15th at youcaring.com/hikeforgirls. If you’ve made it this far in the article, thanks! But may I suggest you get off your device and go be present with your hike now? It may not feel like it at the moment, but the rest of our hikes are actually going to fly by. Then, we will be left with only memories for the rest of our lives. Make the memories beautiful and plentiful by appreciating the little victories every day—and don’t forget the reasons why you decided to hike in the first place! If you can hike over 1300 miles, you can do almost anything. Jump into a few lakes to cool off, and keep putting one foot in front of the other. Our bodies are so much stronger than we ever realized. Wish I could be out there too.